The Buffalo City Mission is best known for its downtown facility and the work it does there. But it also operates a thrift store in the suburbs to help support its work. On Friday, they got some help for a project to make over a portion of that store space. Volunteers from Valu Home Centers and Pratt and Lambert were inside the Depew store, painting walls for a space that will soon become used for offices and a new drop-off center. Store manager Robbin Josey explained that the current drop-off is in the back of the building and not necessarily convenient. 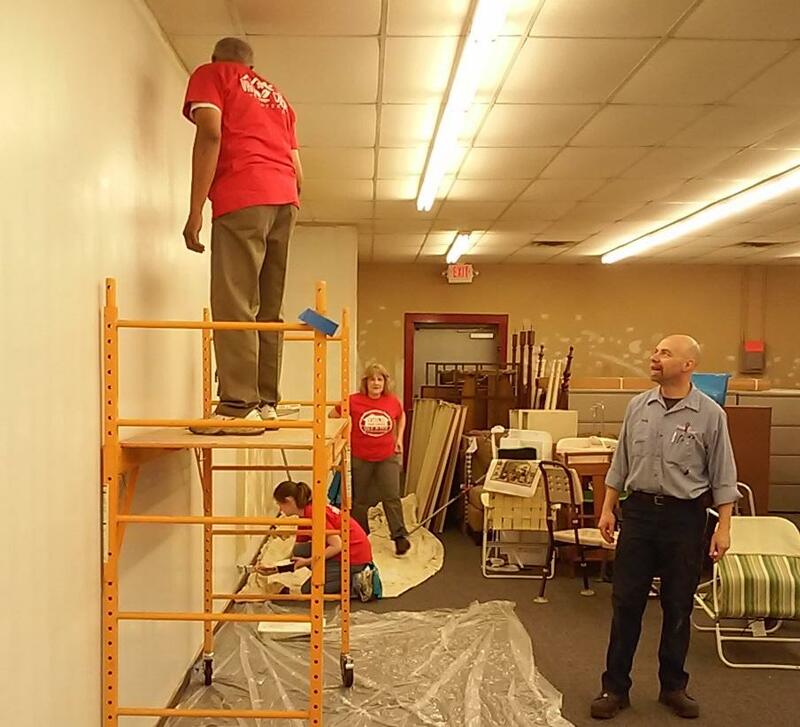 Volunteers apply a first coat of paint while a Buffalo City Mission employee looks on inside the Mission's Depew thrift store. "Sometimes we have other businesses that use the whole parking lot in the back and they can come through really fast sometimes," she said. 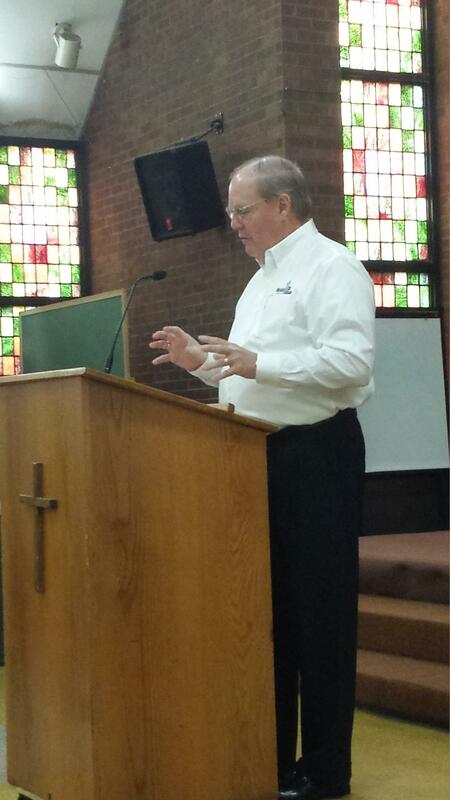 "So we want to make it more convenient for the members and the donors that come in. Also, it gives them an opportunity to get a good look at the store to see what items, maybe they can find some treasures in the store to take out." "Pratt and Lambert, as you may or may not know, was founded in Buffalo in 1849, over 160 years ago," Stoberl said. "We're proud to support the communities of Buffalo, New York, and support the people who live and work here." Doug Wasiera, vice president of marketing for Valu, explained that this project is the second of which his company has taken on for City Mission. There was no difficulty getting employees to offer their time. "With the great response we had on the first one, when we put the call out for this one, we have 10 here today and 12 tomorrow, Saturday morning, from our corporate office," Wasiera said. "It's just a great time for everybody." Wasiera and Stoberl estimate the volunteer project saves City Mission thousands of dollars that would have been spent had they taken this project on alone. More than 20-colleges, high schools and middle schools have pledged their support to collect food for the homeless. The Buffalo City Mission kicked-off Mission Possible: Food Drive School Challenge Thursday. In a city where nearly a third of the population lives below the poverty line, agencies that serve economically-disadvantaged individuals play critical roles. The Buffalo City Mission has received a major contribution in its quest to provide food and shelter to those in need. With the Thanksgiving holiday just over a week away, the Buffalo City Mission is preparing to serve up thousands of meals. 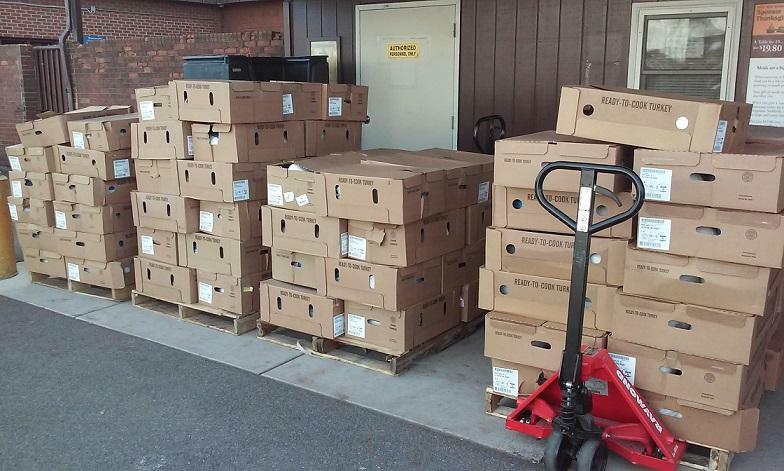 On Tuesday, three local companies delivered 300 turkeys to help support the cause.